For other uses, see Sanhedrin (disambiguation). The Sanhedrin (Hebrew and Jewish Palestinian Aramaic: סנהדרין; Greek: Συνέδριον, synedrion, "sitting together," hence "assembly" or "council") were assemblies of either twenty-three or seventy-one rabbis appointed to sit as a tribunal in every city in the ancient Land of Israel. There were two classes of rabbinical courts called Sanhedrin, the Great Sanhedrin and the Lesser Sanhedrin. A lesser Sanhedrin of 23 judges was appointed to each city, but there was to be only one Great Sanhedrin of 71 judges, which among other roles acted as the Supreme Court, taking appeals from cases decided by lesser courts. In general usage, "The Sanhedrin" without qualifier normally refers to the Great Sanhedrin, which was composed of the Nasi, who functioned as head or representing president, and was a member of the court; the Av Beit Din or chief of the court, who was second to the nasi; and sixty-nine general members (Mufla). In the Second Temple period, the Great Sanhedrin met in the Temple in Jerusalem, in a building called the Hall of Hewn Stones. The Great Sanhedrin convened every day except festivals and the sabbath day (Shabbat). 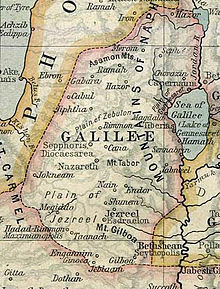 After the destruction of the Second Temple and the failure of the Bar Kokhba Revolt, the Great Sanhedrin moved to Galilee, which became part of the Roman province of Syria Palaestina. In this period the Sanhedrin was sometimes referred as the Galilean Patriarchate or Patriarchate of Palaestina, being the governing legal body of Galilean Jewry. In the late 200s, to avoid persecution, the name "Sanhedrin" was dropped and its decisions were issued under the name of Beit HaMidrash (house of learning). The last universally binding decision of the Great Sanhedrin appeared in 358 CE, when the Hebrew Calendar was abandoned. The Great Sanhedrin was finally disbanded in 425 CE after continued persecution by the Eastern Roman Empire. Over the centuries, there have been attempts to revive the institution, such as the Grand Sanhedrin convened by Napoleon Bonaparte, and modern attempts in Israel. In the Hebrew Bible, Moses and the Israelites were commanded by God to establish courts of judges who were given full authority over the people of Israel, who were commanded by God to obey every word the judges instructed and every law they established. Judges in ancient Israel were the religious leaders and teachers of the nation of Israel. The Mishnah arrives at the number twenty-three based on an exegetical derivation: it must be possible for a "community" to vote for both conviction and exoneration. The minimum size of a "community" is 10 men (10 vs 10). One more is required to achieve a majority (11 vs 10), but a simple majority cannot convict, and so an additional judge is required (12 vs 10). Finally, a court should not have an even number of judges to prevent deadlocks; thus 23 (12 vs 10 and 1). This court dealt with only religious matters. The Hasmonean court in the Land of Israel, presided over by Alexander Jannaeus, king of Judea until 76 BCE, followed by his wife, Queen Salome Alexandra, was called Synhedrion or Sanhedrin. The exact nature of this early Sanhedrin is not clear. It may have been a body of sages or priests, or a political, legislative and judicial institution. The first historical record of the body was during the administration of Aulus Gabinius, who, according to Josephus, organized five synedra in 57 BCE as Roman administration was not concerned with religious affairs unless sedition was suspected. Only after the destruction of the Second Temple was the Sanhedrin made up only of sages. The first historic mention of a Synhedrion (Greek: Συνέδριον) occurs in the Psalms of Solomon (XVII:49), a Jewish religious book written in Greek. A Synhedrion is mentioned 22 times in the Greek New Testament, including in the Gospels in relation to the trial of Jesus, and in the Acts of the Apostles, which mentions a ″Great Synhedrion″ in chapter 5 where rabbi Gamaliel appeared, and also in chapter 7 in relation to the stoning death of Saint Stephen. The Mishnah tractate Sanhedrin (IV:2) states that the Sanhedrin was to be recruited from the following sources: Priests (Kohanim), Levites (Levi'im), and ordinary Jews who were members of those families having a pure lineage such that their daughters were allowed to marry priests. In the Second Temple period, the Great Sanhedrin met in the Hall of Hewn Stones in the Temple in Jerusalem. The court convened every day except festivals and the sabbath day (Shabbat). After the destruction of the Second Temple in 70 CE, the Sanhedrin was re-established in Yavneh with reduced authority. The seat of the Patriarchate moved to Usha under the presidency of Gamaliel II in 80 CE. In 116 it moved back to Yavneh, and then again back to Usha. Rabbinic texts indicate that following the Bar Kokhba revolt, southern Galilee became the seat of rabbinic learning in the Land of Israel. This region was the location of the court of the Patriarch which was situated first at Usha, then at Bet Shearim, later at Sepphoris and finally at Tiberias. The Great Sanhedrin moved in 140 to Shefaram under the presidency of Shimon ben Gamliel II, and to Beit Shearim and Sepphoris in 163, under the presidency of Judah I. Finally, it moved to Tiberias in 193, under the presidency of Gamaliel III (193–230) ben Judah haNasi, where it became more of a consistory, but still retained, under the presidency of Judah II (230–270), the power of excommunication. During the presidency of Gamaliel IV (270–290), due to Roman persecution, it dropped the name Sanhedrin; and its authoritative decisions were subsequently issued under the name of Beth HaMidrash. In the year 363, the emperor Julian (r. 355–363 CE), an apostate from Christianity, ordered the Temple rebuilt. The project's failure has been ascribed to the Galilee earthquake of 363, and to the Jews' ambivalence about the project. Sabotage is a possibility, as is an accidental fire. Divine intervention was the common view among Christian historians of the time. As a reaction against Julian's pro-Jewish stance, the later emperor Theodosius I (r. 379–392 CE) forbade the Sanhedrin to assemble and declared ordination illegal. Capital punishment was prescribed for any Rabbi who received ordination, as well as complete destruction of the town where the ordination occurred. However, since the Hebrew calendar was based on witnesses' testimony, which had become far too dangerous to collect, rabbi Hillel II recommended change to a mathematically based calendar that was adopted at a clandestine, and maybe final, meeting in 358 CE. This marked the last universal decision made by the Great Sanhedrin. Gamaliel VI (400–425) was the Sanhedrin's last president. With his death in 425, Theodosius II outlawed the title of Nasi, the last remains of the ancient Sanhedrin. An imperial decree of 426 diverted the patriarchs' tax (post excessum patriarchorum) into the imperial treasury. The exact reason for the abrogation of the patriarchate is not clear, though Gamaliel VI, the last holder of the office who had been for a time elevated by the emperor to the rank of prefect, may have fallen out with the imperial authorities. Thereafter, Jews were gradually excluded from holding public office. The Talmud tractate Sanhedrin identifies two classes of rabbinical courts called Sanhedrin, a Great Sanhedrin (בית דין הגדול) and a Lesser Sanhedrin (בית דין הקטן). Each city could have its own lesser Sanhedrin of 23 judges, but there could be only one Great Sanhedrin of 71, which among other roles acted as the Supreme Court, taking appeals from cases decided by lesser courts. The uneven numbers of judges were predicated on eliminating the possibility of a tie and the last to cast their vote was the head of the court. The Sanhedrin as a body claimed powers that lesser Jewish courts did not have. As such, they were the only ones who could try the king, extend the boundaries of the Temple and Jerusalem, and were the ones to whom all questions of law were finally put. Before 191 BCE the High Priest acted as the ex officio head of the Sanhedrin, but in 191 BCE, when the Sanhedrin lost confidence in the High Priest, the office of Nasi was created. After the time of Hillel the Elder (late 1st century BCE and early 1st century CE), the Nasi was almost invariably a descendant of Hillel. The second highest-ranking member of the Sanhedrin was called the Av Beit Din, or "Head of the Court" (literally, Av Beit Din = "father of the house of judgment"), who presided over the Sanhedrin when it sat as a criminal court. During Second Temple era, the Sanhedrin met in a building known as the Hall of Hewn Stones (Lishkat ha-Gazit), which has been placed by the Talmud and many scholars as built into the north wall of the Temple Mount, half inside the sanctuary and half outside, with doors providing access both to the Temple and to the outside. The name presumably arises to distinguish it from the buildings in the Temple complex used for ritual purposes, which had to be constructed of stones unhewn by any iron implements. Taxation: both the power to tax and the authority to rule/intervene on the disposition of taxes raised for local purposes by local councils. Up to the middle of the fourth century, the Patriarchate retained the prerogative of determining the Hebrew calendar and guarded the intricacies of the calculation process in an effort to subdue interference from the Babylonian community. Due to Christian persecution, Hillel II was obliged to fix the calendar in permanent form in 359 CE. This institution symbolized the passing of authority from the Patriarchate to the Babylonian Academies. In 2004, excavations in Tiberias conducted by the Israel Antiquities Authority uncovered a structure dating to the 3rd century CE that may have been the seat of the Sanhedrin when it convened in that city. At the time it was called Beit Hava'ad. Before 191 BCE the High Priest acted as the ex officio head of the Sanhedrin, but in 191 BCE, when the Sanhedrin lost confidence in the High Priest, the office of Nasi was created. The Sanhedrin was headed by the chief scholars of the great Talmudic Academies in the Land of Israel, and with the decline of the Sanhedrin, their spiritual and legal authority was generally accepted, the institution itself being supported by voluntary contributions by Jews throughout the ancient world. Being a member of the house of Hillel and thus a descendant of King David, the Patriarch, known in Hebrew as the Nasi (prince), enjoyed almost royal authority. Their functions were political rather than religious, though their influence was not limited to the secular realm. The Patriarchate attained its zenith under Judah ha-Nasi who compiled the Mishnah, a compendium of views from Judean thought leaders of Judaism other than the Torah. The Sanhedrin is traditionally viewed as the last institution that commanded universal Jewish authority among the Jewish people in the long chain of tradition from Moses until the present day. Since its dissolution in 358 CE by imperial decree, there have been several attempts to re-establish this body either as a self-governing body, or as a puppet of a sovereign government. There are records of what may have been attempts to reform the Sanhedrin in Arabia, in Jerusalem under the Caliph 'Umar, and in Babylon (Iraq), but none of these attempts were given any attention by Rabbinic authorities and little information is available about them. Main article: Napoleon Bonaparte's "Grand Sanhedrin"
Medallion struck in honor of the "Grand Sanhedrin" convened by Emperor Napoleon I of France. The "Grand Sanhedrin" was a Jewish high court convened by Napoleon I to give legal sanction to the principles expressed by the Assembly of Notables in answer to the twelve questions submitted to it by the government (see Jew. Encyc. v. 468, s.v. France). On October 6, 1806, the Assembly of Notables issued a proclamation to all the Jewish communities of Europe, inviting them to send delegates to the Sanhedrin, to convene on October 20. This proclamation, written in Hebrew, French, German, and Italian, speaks in extravagant terms of the importance of this revived institution and of the greatness of its imperial protector. While the action of Napoleon aroused in many Jews of Germany the hope that, influenced by it, their governments also would grant them the rights of citizenship, others looked upon it as a political contrivance. When in the war against Prussia (1806–07) the emperor invaded Poland and the Jews rendered great services to his army, he remarked, laughing, "The sanhedrin is at least useful to me." David Friedländer and his friends in Berlin described it as a spectacle that Napoleon offered to the Parisians. Since the dissolution of the Sanhedrin in 358 CE, there has been no universally recognized authority within Halakha. Maimonides (1135–1204) was one of the greatest scholars of the Middle Ages, and is arguably one of the most widely accepted scholars among the Jewish people since the closing of the Talmud in 500. Influenced by the rationalist school of thought and generally showing a preference for a natural (as opposed to miraculous) redemption for the Jewish people, Maimonides proposed a rationalist solution for achieving the goal of re-establishing the highest court in Jewish tradition and reinvesting it with the same authority it had in former years. There have been several attempts to implement Maimonides' recommendations, the latest being in modern times. There have been rabbinical attempts to renew Semicha and re-establish a Sanhedrin by Rabbi Jacob Berab in 1538, Rabbi Yisroel Shklover in 1830, Rabbi Aharon Mendel haCohen in 1901, Rabbi Zvi Kovsker in 1940 and Rabbi Yehuda Leib Maimon in 1949. In October 2004 (Tishrei 5765), a group of rabbis representing varied Orthodox communities in Israel undertook a ceremony in Tiberias, where the original Sanhedrin was disbanded, in which it claimed to re-establish the body according to the proposal of Maimonides and the Jewish legal rulings of Rabbi Yosef Karo. The controversial attempt has been subject to debate within different Jewish communities. Synedrion, a general term for judiciary organs of Greek and Hellenistic city states and treaty organisations. ^ "Greek Lexicon :: G4892 (KJV)". Blue Letter Bible. ^ The Hebrew term "community" appears in Numbers 14:27; i.e., the 10 spies who had spread a bad report about the land, thus a "community" is 10 men. ^ a b Wanderings: Chaim Potok's History of the Jews, Chaim Potok, Knopf, New York, p. 191. ^ Jack N. Lightstone; Canadian Corporation for Studies in Religion (13 May 2002). Mishnah and the social formation of the early Rabbinic Guild: a socio-rhetorical approach. Wilfrid Laurier Univ. Press. p. 192. ISBN 978-0-88920-375-4. Retrieved 18 July 2011. ^ See "Julian and the Jews 361–363 CE" and "Julian the Apostate and the Holy Temple" Archived 2005-10-20 at the Wayback Machine. ^ a b Nicholas Robert Michael De Lange; Jane S. Gerber (15 October 1997). The illustrated history of the Jewish people. Harcourt Brace. p. 79. ISBN 978-0-15-100302-0. Retrieved 18 July 2011. One or more of the preceding sentences incorporates text from a publication now in the public domain: Chisholm, Hugh, ed. (1911). "Jews" . Encyclopædia Britannica (11th ed.). Cambridge University Press. p. 403. ^ Alfred Edersheim (1856). History of the Jewish nation after the destruction of Jerusalem under Titus. T. Constable and co. p. 551. Retrieved 18 July 2011. ^ a b Goldwurm, Hersh and Holder, Meir, History of the Jewish People, I "The Second Temple Era" (Mesorah Publications: 1982) ISBN 0-89906-454-X. ^ "Sanhedrin". CUNY. Archived from the original on 2006-05-19. ^ Babylonian Talmud: Sanhedrin 2a. ^ Jack N. Lightstone; Canadian Corporation for Studies in Religion (13 May 2002). Mishnah and the social formation of the early Rabbinic Guild: a socio-rhetorical approach. Wilfrid Laurier Univ. Press. p. 189. ISBN 978-0-88920-375-4. Retrieved 21 July 2011. ^ Encyclopædia Britannica, inc (2003). The New Encyclopædia Britannica. Encyclopædia Britannica. p. 424. ISBN 978-0-85229-961-6. Retrieved 18 July 2011. ^ Esther Rogoff Taus; Zev Garber (28 April 2008). Torah for Today. University Press of America. p. 97. ISBN 978-0-7618-3635-3. Retrieved 18 July 2011. ^ Isaac Landman (1941). The Universal Jewish Encyclopedia: an authoritative and popular presentation of Jews and Judaism since the earliest times. The Universal Jewish Encyclopedia, inc. p. 399. Retrieved 18 July 2011. ^ "Researchers say Tiberias basilica may have housed Sanhedrin". Haaretz. 22 March 2004. ^ Hugh Chisholm (1911). "Jews". Encyclopædia Britannica: a dictionary of arts, sciences, literature and general information. The Encyclopædia Britannica company. p. 403. Retrieved 18 July 2011. ^ Sefer Yuchsin, cf. Yarchei Kallah, Rabbi Nassan describes "the seventy judges who comprise the Sanhedrin". ^ The dissolution of the Sanhedrin, in terms of its power to give binding universal decisions, is usually dated to 358 CE when Hillel II's Jewish Calendar was adopted. This marked the last universally accepted decision made by that body. ^ "Israel News - Israel's #1 News Site - Arutz Sheva". Arutz Sheva. Chen, S.J.D., "Patriarchs and Scholarchs," PAAJR 48 (1981), 57–85. Goodman, M., "The Roman State and the Jewish Patriarch in the Third Century," in L.I. Levnie (ed. ), The Galilee in late Antiquity (New York, 1992), 127.39. Habas (Rubin), E., "Rabban Gamaliel of Yavneh and his Sons: The Patriarchate before and after the Bar Kokhva Revolt," JJS 50 (1999), 21–37. Levine, L.I., "The Patriarch (Nasi) in Third-Century Palestine," ANRW 2.19.2 (1979), 649–88. Wikisource has the text of the 1905 New International Encyclopedia article Sanhedrin. Herbermann, Charles, ed. (1913). "Sanhedrin" . Catholic Encyclopedia. New York: Robert Appleton Company.